Import all your clients from HealthKit in a matter of seconds! Go to the "Settings" page and click the "Add new" button next to the "Physitrack" integration. Scroll down to the "API Integrations" section, choose HealthKit and paste in your API key ( CTRL+V). Hit the Save changes button at the bottom of the page, and you're done! 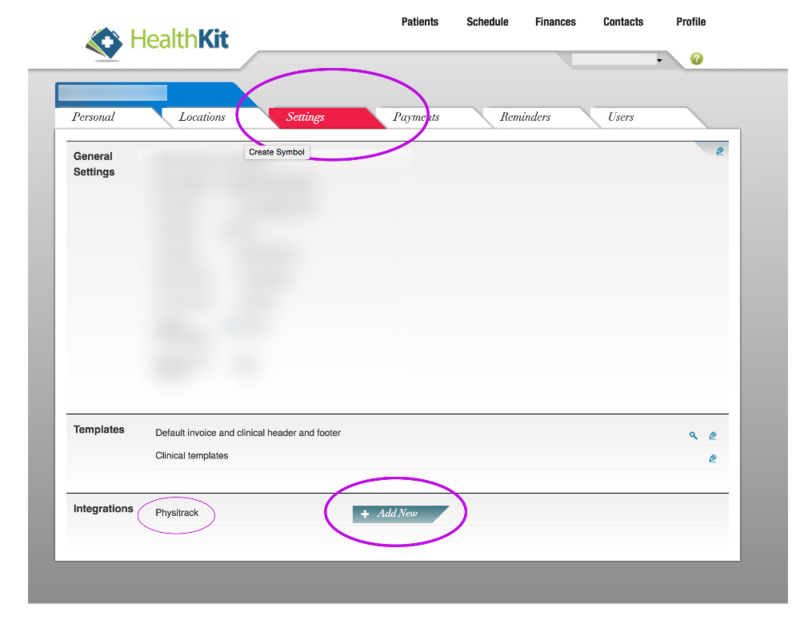 Your HealthKit clients have now been copied to your Physitrack account. Physitrack does not automatically copy clients from your HealthKit account into Physitrack, but we've made it easy for your to copy your clients from HealthKit to Physitrack. Click the "Import client" button on the top-right of the screen, and any new patients will be copied from HealthKit. Remember: each client on Physitrack must have a unique email address. If there are any errors while importing clients, you will see a list of patients that could not be imported.